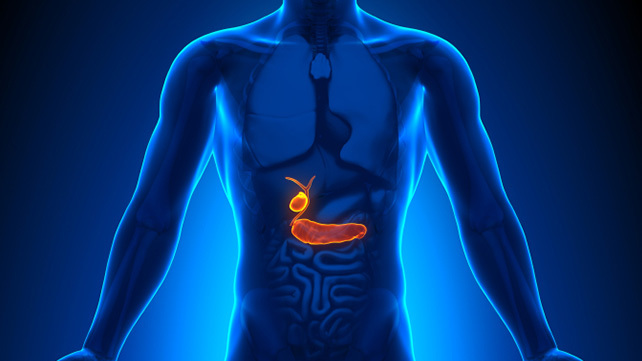 Gallbladder disease will put the patient at risk for digestive disorders if it goes untreated. The diet tips here for gallbladder health will help to prevent it. Gallbladder diseases will make it difficult to break down food properly, and puts the patient at risk for other digestive disorders if it goes untreated. In some cases, the patient will need to have their faulty gallbladder removed to prevent further injury including gallstones from becoming a persistent and dangerous problem. So creating a diet that promotes gallbladder health is essential for those who are at risk for developing gallbladder disease. The gallbladder is located within the liver and produces bile, a substance that helps to break down fats. If a person is prone to eating very fatty foods, it can overwork the gallbladder and a shortage of bile can develop. The gallbladder can also develop gallstones, a condition that causes buildup in the gallbladder. Gallstones can cause abdominal pain, nausea, vomiting or bloating. If they develop, you may have to have your gallbladder removed to end your discomfort. If you have had your gallbladder removed or you are at risk for developing gallstones, you must follow a diet that will promote gallbladder health. This will help you maintain a healthy weight and prevent you from overworking the gallbladder. You cannot cure gallbladder problems by altering your diet, but you can rid yourself of some of the discomfort associated with this condition and prevent the necessity of removing the gallbladder. A diet for gallbladder health focuses on eliminating the risks that can lead to gallstones. This is done by increasing the intake of foods that lower cholesterol and contain the nutrients and fiber necessary to keep the digestive system functioning at the highest possible level. You will also need to decrease your intake of fatty foods that put a great deal of strain on your gallbladder to break them down and move them through the digestive system. In addition to lowering your risk of gallstones, consuming this type of diet will help you maintain a healthy body weight and reduce the risk of developing high blood pressure or heart disease. Unless you are beginning to suffer from an attack or are in the midst of an attack, do not cut all fats from your diet. Completely removing fat from your diet can cause your gallbladder to shut down and stop producing the bile it should, which is just as dangerous as having an attack. The key is to take in the right type of fats so that your body can get the oils it needs without causing harm to the gallbladder. Flax oil and omega 3 fats can be consumed with meals to help break down foods without adding to the cholesterol content of the food. Consuming lean foods can help you remove the risk of developing gallstones. Consume dairy products that are low fat such as skim milk to avoid the extra oils in the cream. Substitute whole grains for breads, cereals and pastas. These will provide additional fiber and nutrients that will help to break down other foods in your system. Consuming plenty of fruits and vegetables will have a similar effect on your diet. The high fiber content in fruits and vegetables also helps the body to feel more full so that you will not overeat, which will also put excessive pressure on the gallbladder. Getting enough protein. Those on a gallbladder diet must be conscious of getting enough protein since many sources of protein are also high in oils and fat. Consume lean meats such as fish or poultry to get protein as well as the essential vitamin B12. Alternative meat sources such as tofu or beans can also be used to increase your protein intake while avoiding foods with a high fat content. If you are consuming a prepackaged bean dish, read the label carefully to ensure that no lard has been used in the cooking process. Proper levels of caffeine or alcohol intake. Some research has shown that consuming moderate levels of caffeine or alcohol can reduce the risk of developing gallstones. Talk to your doctor before taking on this regimen to determine the proper amount of caffeine or alcohol to drink and what form would be the most appropriate to consume. Soft drinks or highly malted alcoholic drinks could lead to other health problems if they are consumed too regularly. Consuming peanuts or peanut butter. Research has also shown that the consumption of peanuts or peanut butter reduces the risk of gallstones in women. Some studies have noticed as much as a 20 percent increase in gallbladder health for those who regularly consumed these products rather than those who rarely at peanut-based foods. Much of the gallbladder diet revolves around avoiding food that is prepared in an unhealthy way. Highly processed foods such as prepackaged meals, cookies, pies or other desserts have a high fat and sugar content that can be unhealthy for gallbladder patients. These foods also have a high sodium content that can cause digestive distress. Foods which have been fried should be avoided. Restrict your use of cooking oil to lighter oils such as flax, hemp or olive oil which provide more health benefits and less cholesterol. Protein sources must be scrutinized to ensure that they are not too high in cholesterol for a gallbladder patient. Red meat should be avoided due to the many health risks associated with these foods. If you will be getting some of your protein content from dairy, avoid whole milk, cottage cheese and other dairy products that will have an excessively high fat content. You should also take care when selecting cheeses. Softer cheeses tend to have more dairy fat than those which are harder. Cheese spreads such as cream cheese may also have an excessive amount of oil which can disturb the gallbladder. The table below will list some foods to eat and avoid clearly for reference.